Do you remember when I told you that once I discovered that homemade corn tortillas where so good it made me realize that I didn’t acctually hate corn tortillas, I just hated those sad cardboard disks they sell at the store? Pita bread is an even bigger revelaiton. It’s not as quick as those 10 minute homemade tortillas, but it’s so soft and addictingly amazing, it’s worth the time. It’s about 15 minutes of active time and another 45 to 60 minutes of rise time. About an hour all in. An hour well spent. Pita bread was the first yeast bread I ever made which helped me to conquer my fear of yeast and made me wonder what I was so scared of. 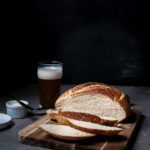 For this, and for most bread recipes, I like a wheat beer, especially an unfiltered wheat beer. The bready notes and the yeast in the beer give a great texture with a hint of beer on the back end. So, what do you do with this beautiful bread once you’ve decided to make it? 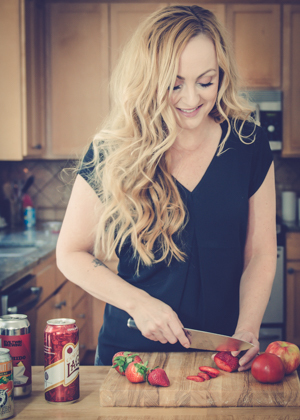 If you can resist eating it right out of the pan, it makes amazing wraps and sandwiches, but don’t be afraid to make mini pizzas or even large chicken tacos with this too. Or just eat it right out of the pan with some melted butter. And a cold beer. In the bowl of a stand mixer fitted with a dough hook attachment, add the flour, yeast and garlic powder. Mix until combined. In a microwave safe bowl add the beer. Microwave on high for 20 seconds, test temperature with a cooking thermometer and repeat until temperature reaches between 120 and 125 degrees Fahrenheit. Add the beer to the stand mixer and mix on medium speed. Once most of the dough has been moistened, sprinkle with the salt while the mixer is still running. Turn speed to high and beat until dough is smooth and elastic, about 8 minutes. Remove from bowl and add to a lightly floured surface. Knead several times, cut into 8 equal sized pieces. One at a time roll the dough into 6 inch circles. Lightly oil a cast iron skillet and heat over high heat until very hot. Add one dough circle to the pan, cook until the underside has browned and the top starts to bubble, about 2 minutes, flip and cook for an additional 1-2 minutes or until the pita bread is cooked through. Adjust the heat if the pan becomes too hot and the bread burns too quickly. Yum. These look great. 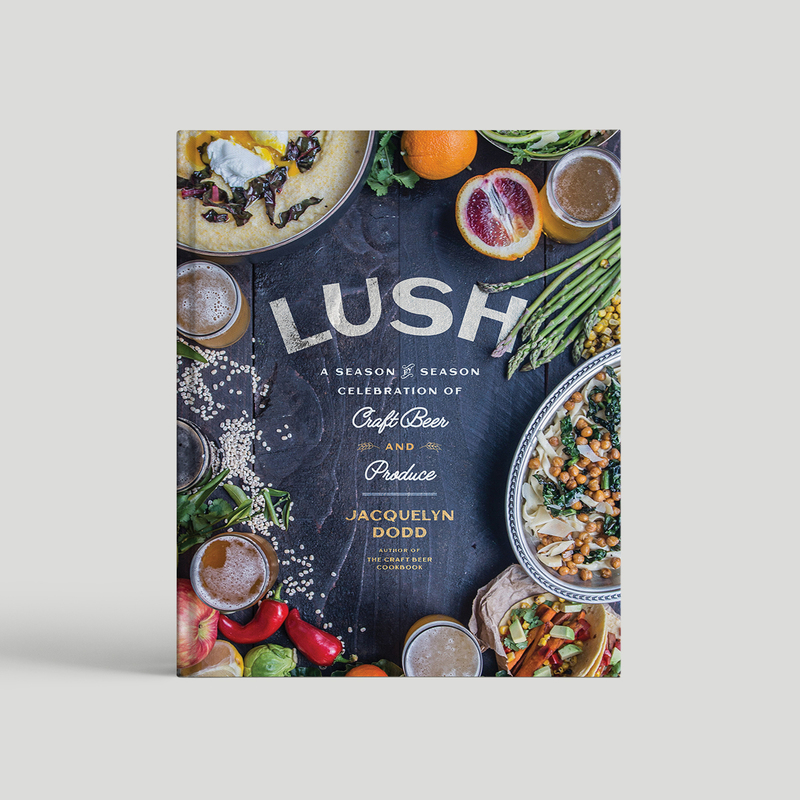 I love all of your creative recipes! 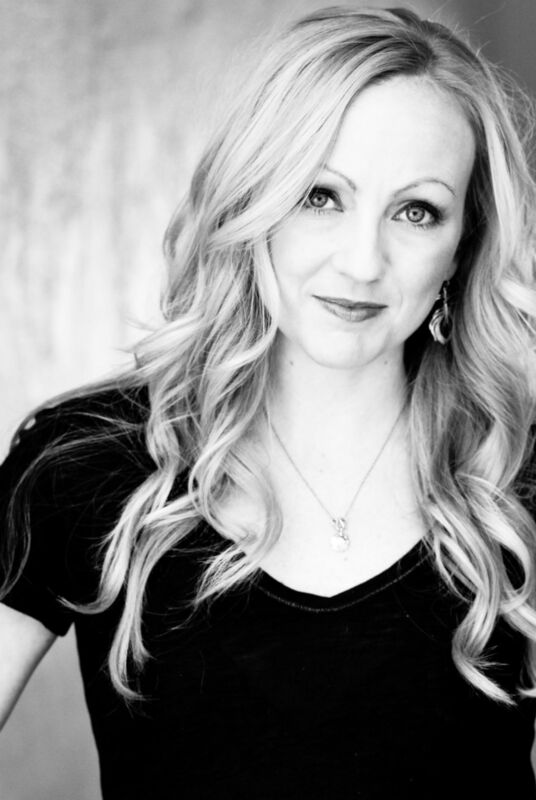 You’re so sweet, thank you Leslie! 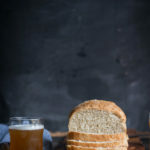 I love this one, but I think bread should be made with beer. It gives it amazing texture! I’ve finally started experimenting with homemade bread lately, and have been looking for a good pita bread recipe. I think this will be the first one I try! Look at how fluffy! This sounds so so good. Now you just need a beer hummus to mop up with it! 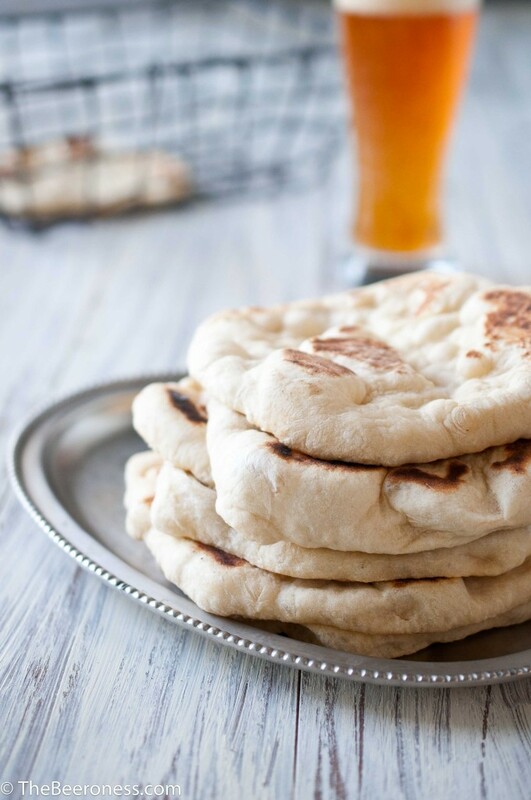 I love homemade pita bread…so much better than store-bought…and you added beer. Perfection. I love this! 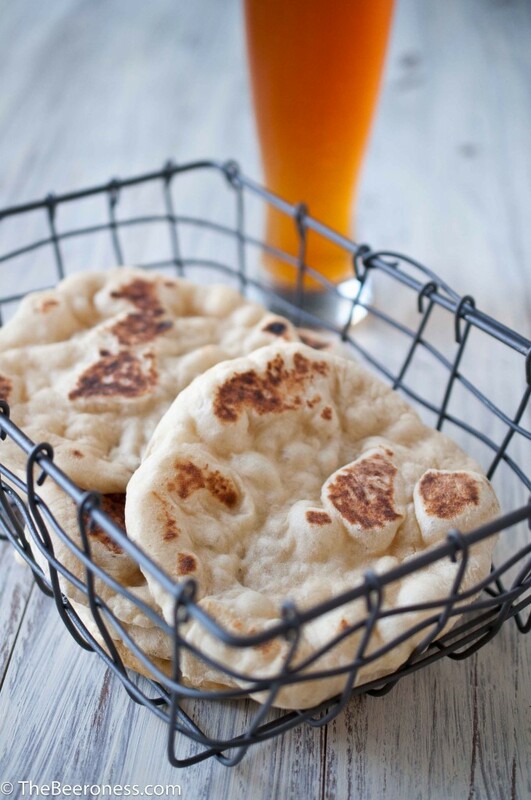 These look so soft and chewy <3 I love love love homemade pita bread… adding beer is just plain S-M-A-R-T! I remember the first time I made pita bread I was so excited… and then it dropped into the dogs water. Lame. How sad! Poor pita bread. 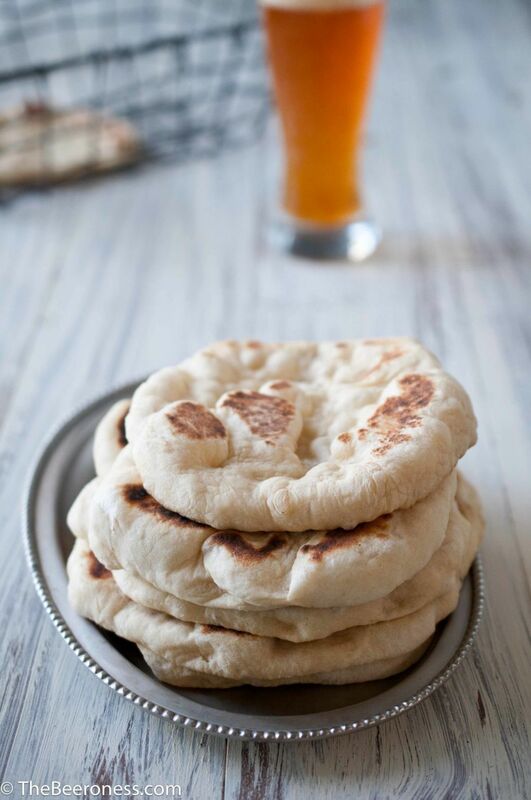 Love how simple this looks….I have wanted to make pitas for awhile. 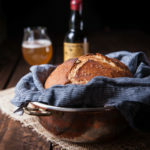 Nice, easy, straightforward and fast yeast recipe! And I have that bench scraper! I ordered it online and love it. And I have the marble board, too. Thanks for the tip! I got it as a gift and I wasn’t sure I’d use and now I use it so much I tell people they have to go buy one. Store-bought pita bread is pretty much the worst thing ever. It’s dry, it’s bland, and just a complete abomination. I’m totally going to try this! I LOVE homemade pita bread! And you went and involved garlic AND beer in the situation? I’m sold. I swear… you’re genius. This looks so delicious – for some reason I never would have thought to make my own pita; especially not in a cast iron pot…. so delicious! After trying at least 10 recipes for pita bread at home, you have done it. This is a great recipe, though I added about 1.5 cups of a Belgian to make a nice bread dough. Thanks for the inspiration. You rock! I’m so glad! 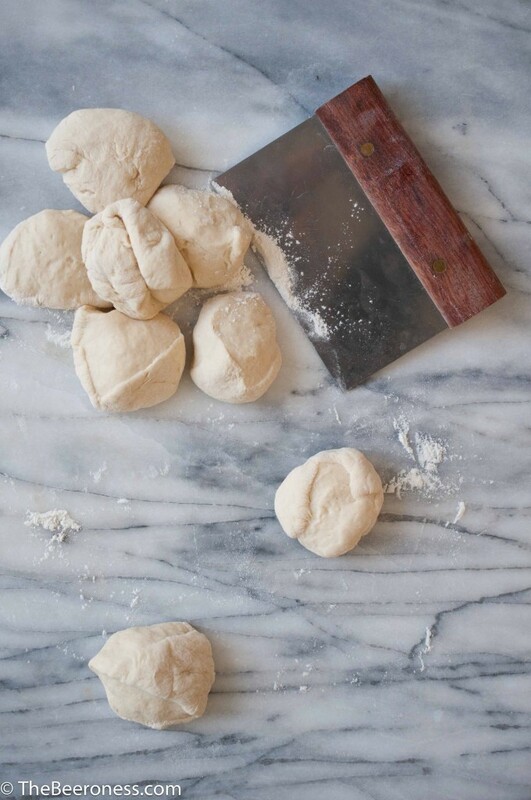 I love this recipe too, I use it sometimes for a quick one hour pizza dough. Just finally made these for Greek burgers for supper tonight. Of course, we had to try them plain and then dipped in some hummus. SO good! My little’s are now begging me for more! Thanks for the great recipe. I made this tonight and came off without a flaw although my first pita looked like Australia though. After a few more they were sort of close to the round shape we’re used to. Tasted great and used the Aussie one for an awesome Swiss mushroom burger. 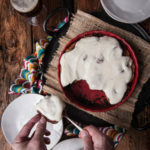 Thanks again for all of your work in creating beer related recipes. 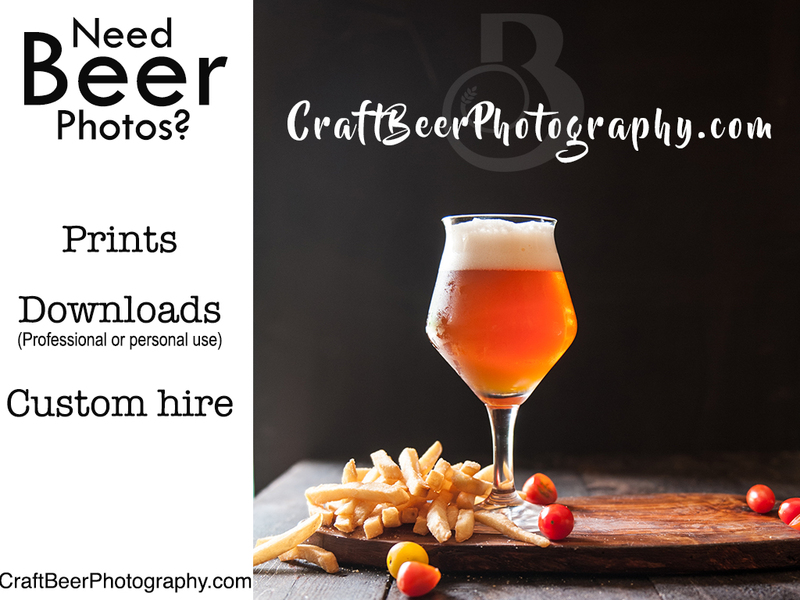 We here in the Western NY area have some great craft breweries for you to visit. I substitute 1/2 a cup of whole wheat flour. It gives them a really great texture and it is probably the bread I make most often. Goes great with a beer cheese dip. Can I use a regular pan if I don’t have cast iron?